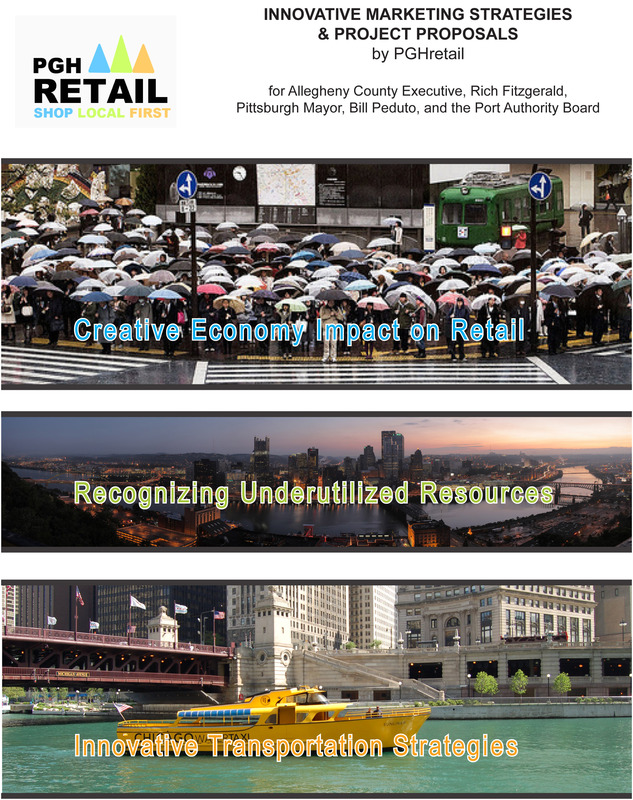 PGHretail delivered a portfolio of projects and analysis for Pittsburgh’s quality of life in a retail and transportation perspective, as well as, city wide events that brought sustainable lifestyles and experiencing open urban space differently in early October 2013 to the Port Authority Of Allegheny County, Allegheny County Executive Rich Fitzgerald, and then Mayor-elect Bill Peduto. 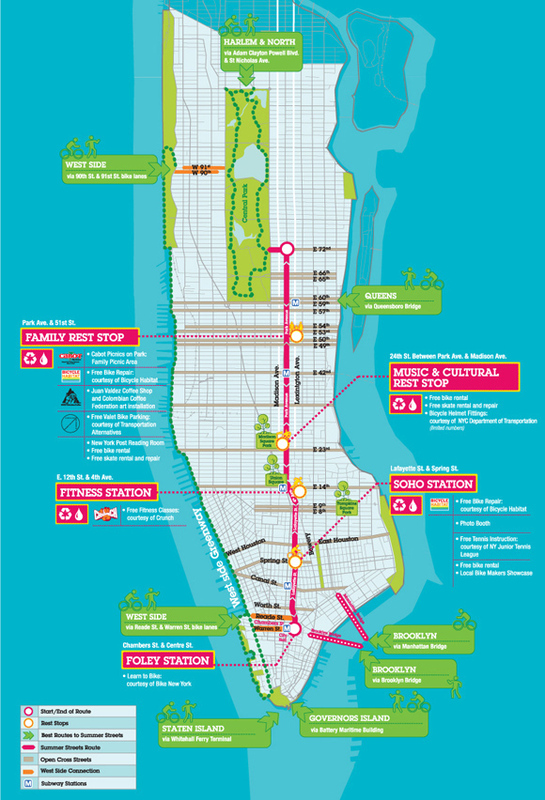 We were excited to see their plan for OPEN STREETS that happened in late July 2014. We can’t wait to see it happen bigger and better for 2015! While we definitely have to give credit to NYC for their 2013 city events, Summer Streets, as inspiration, we believe that being competitive with other metro areas includes borrowing from them to share with our communities ways in which we can differentiate ourselves and achieve similar goals: healthy lifestyles, biking, utilizing roadways beyond cars and buses, experiencing local amenities like yoga, zumba, walking, other outdoor activities, and local grocers and health product/service providers. 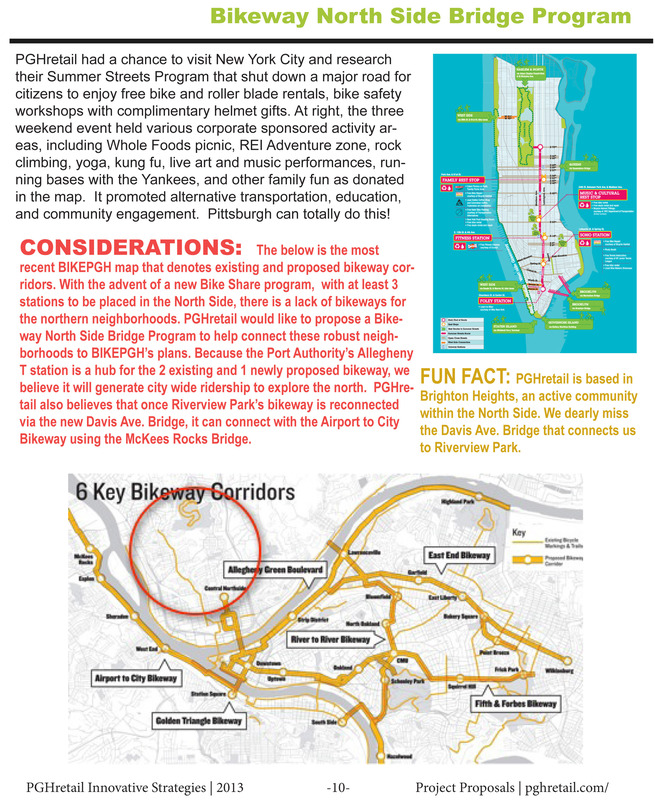 Read the full PGHretail Report here.